The Philippines is one of the countries susceptible to cybersecurity attacks. From hacking of government websites before elections, to online bank cyberheist, the country’s defenses against these attacks have yet to be fortified. Recognizing this need, the Philippine government created the Department of Information and Communications Technology to establish a system that will safely provide Filipinos access to vital information and communication technology structures and services. Through the formulation of the National Cybersecurity Plan 2022, the DICT aims to assure continuous operation of nation’s critical infostructures, implement cyber resiliency to respond to threats, coordinate with law enforcement agencies and cyber-secure educated society. Echoing the government’s mission, Acer Philippines, a leading ICT company, calls on institutions that are highly vulnerable from cyber threats, like businesses, to strengthen their data security through maximizing available hardware and software. Malwares or malicious software are harmful to computer users and can easily spread, especially for Filipinos who thrive on staying online. But online threats are not the only entities Filipinos should be weary of. One can transfer malwares through unsafe transport of data though corrupted hard drives and USB devices. In short, viruses can ride on physical devices through manual transmission and connection. “Protecting your company’s information is not just an online activity but also a proactive offline effort. Threats are not just found online or within the software component of your devices but also in the physical parts of unprotected computers. We always recommend to our clients and business partners to choose hardware that provide security features,” explained Ong-Lim. 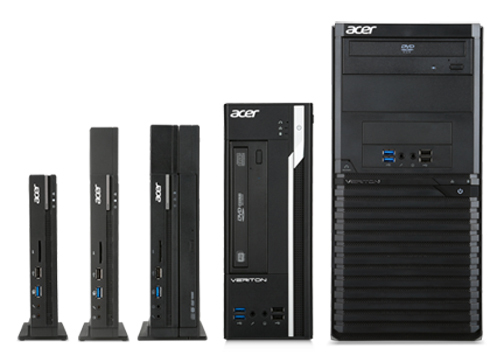 As a top ICT company, Acer puts thought into their designs of both software and hardware. Designed to protect companies’ assets from harm and theft, the tech giant developed the Acer Security Suite. It is a complete hardware and software package that encrypts any program file, computer, and user-set passwords and can leverage the trusted platform module technology for totally secure computing. Aside from the Suite, Acer also offers commercial desktops such as Acer Veriton, that is designed with a durable security locks that companies can utilize for protection. At the same time, it is also equipped with security command plug-ins that will give users the liberty to move storage of important information and the urgency to act upon any threat. “Aside from updating your software, purchasing tools and devices that can protect businesses from cyber threats is a worthwhile investment. Businesses might not be aware but proactively safeguarding their data is less costly than fighting off an attack. Whether it’s a database of their customers, or proprietary data, information is currency for every business and technology should be utilized to stop threats from even reaching them,” said Ong-Lim.